In this article we look at the pros and cons of buying backup software against a dedicated backup appliance and what are the advantages and dis-advantages of each. Companies and individuals today create and store more information than ever before, with disk capacities continually growing, a reliable backup solution is vital to protect data against viruses, hardware failure, accidental erasure, external attack, malicious damage or theft. What started out as a good idea with a single backup product has evolved to become multiple, disparate software products, including tape or dedupe storage silos. The result from these new and forever emerging technologies has meant increased cost and complexity, difficulty in managing and obtaining meaningful reports, regarding files and backups. Fujitsu ETERNUS CS200c running CommVault Software a complete solution in a box. Do you find your business continually over coming problems with licensing, rising software costs, increasing support costs, an inability to backup new systems or you’re just tired of the way your system works or more appropriately doesn’t work. Sound familiar? The time has come to replace your existing backup solution. How long have you scheduled for testing and deployment? Planning to replace your existing software could take days or weeks depending on your companies’ size. Would you base your replacement decision on customer recommendation, market analysis or feedback? Why would you not make a purchase if you’ve heard nothing but good reviews? Doing so could greatly reduce the amount of time you spend testing in-house, and as we all know time is money. When looking for a new backup solution many things need to be considered as you do not want to be replacing the solution every 2-3 years because something was missed or not covered in the initial planning phase. As to not fall in to this trap it is vital that within the planning, the solution is future proofed and scalable to grow with the business needs. In order to find out the best software for your company, you first need to identify a number of key requirements as some software can scale and support more applications and systems than others. What operating systems and applications do we need to backup? What other operating systems and applications will we be potentially be using? How much data are we likely to be backing up? What is our RPO (Recovery Point Objective)? What is out RTO (Recovery Time Objective)? What is our backup window? Should we backup to disk, tape or both? Do we need to consider archiving? Can we backup to the Cloud? Does the software provide extensive reporting? Does it support eDiscovery, Legal hold and search? How easy can we add additional features and functionality? Support physical and virtual backups? How the backup agents are installed? Simplicity of creating backing schedules? Can our SAN, LAN or WAN handle the bandwidth requirement? Will you be investing in a completely new solution? Hard disk space to maintain your backup routine? Tape drive or tape library if backing up to tape? Will you want to keep your old backups or migrate to the new software? From the list above it is clear that buying a solution to solve a backup problem is not an easy task. Many companies today still have no form of archiving or strategy and yet 80% of data backed up is not accessed after 6 months, this means data is sitting on primary storage, leading to a longer backup window and inefficient use of available resource. I think one of the main reasons for this is companies cannot easily identify the data that needs archiving in the first place. We already know that data volumes are going to grow tenfold in the next 5 years, getting a grip on this issue sooner rather than later is a good strategy in moving forward. With the advent of hot desking, home workers and the general downsizing of business offices, technology is allowing users to work smarter from remote locations and allowing them to use their own devices (BYOD) to work outside the normal 9-5 routine. This leads to problems with companies that need to backup the data now residing on BYOD devices, can your software handle these devices? Again when looking at backing up these devices a strategy needs to put in place in how to handle these systems. Backing up data also has other more important business implications in terms of data / regulatory compliance and legal requirements. Whereby the legal department may need to identify email or files associated with users, inside or outside the company and provide an audit trail of the information that was tampered with or deleted. How is this handled now? Tape has been around for 50 years and many companies at one time or another solely relied on tape for backup. These tapes were taken off-site and stored in an alternate location for safe-keeping. What do you intend to do with this important asset that you will probably have difficulty in reading due to the age of tapes and available software / drives to read the information? Do you have disparate storage systems from many vendors, if so do they take snapshots and replicate the data off-site, this is great if you have a single vendor’s storage platform to manage. However, in many companies this isn’t the case and you end up with many snapshots being sent across the WAN in order to protect each system. Can your current backup solution manage these snapshots and replicate them with little or no user intervention? With Cloud storage becoming an attractive proposition for companies wanting to store data in the cloud. Can your current solution manage this? Firstly let’s start with backup software which has been around for decades, originally starting out as custom scripts for running mainframe and mini-computer backups. This has gradually evolved to become the sophisticated backup software we now use today. 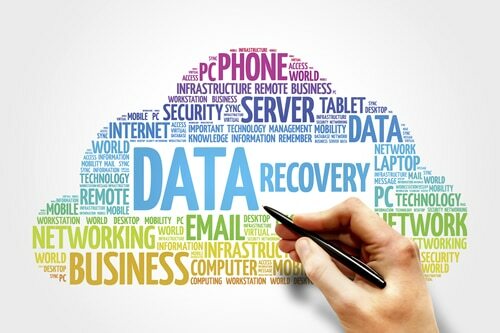 Today backup software doesn’t just perform backups it is used for archiving, replication, HA, eDiscovery, E-Mail, Snapshots etc. The software typically covers many applications and operating systems, some of which are 20-30 years old. Many backup software vendors provide the ability to centrally manage and control backup jobs via a central server, this provides a single centrally managed GUI to control your backup estate on the LAN or WAN and monitor performance, jobs and issues. Many backup software vendors today provide the ability to run your backup software application as a VM, we have a problem with this approach, let me explain; if your VM host machine fails then there is no way to recover your system, unless it is replicated to another site. Otherwise a complete system rebuild may need to be initiated. We prefer that the backup server should be a physical system separate from the systems it is backing up. With this approach you could restore your VM’s to another server using the backup software on the physical machine. Agent based – You pay for each system / client / application you want to backup. This is fine if you only have a few machines, but if you have a large estate then things could get expensive. Is it licensed by raw capacity i.e. backup = 20TB data licensed 20TB, this is known as capacity under license. Hopefully you would also agree that back-end licensing makes a lot more sense as you could backup 20TB, deduped to 2TB, and all you then pay for is 2TB and not 20TB! Buying solely backup software has traditionally been the way companies put together a solution. This has a lot of complexity in terms of specifying the server hardware to handle all of the processing power a modern software solution requires. 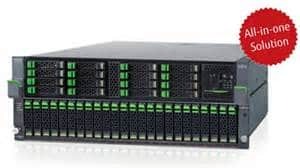 In addition to this you may need extra memory, multi-cored processors, storage for both deduplication, disk space for storing the backups and interface cards to integrate with your environment and above all a support contract. The issue with this approach is if something goes wrong, will the software and hardware vendors start finger pointing with regard to what is causing the issue? Dedicated backup software physical or virtual? Tape drive or tape library if backing up or archiving to tape? A backup appliance is a purpose built reference architecture that is optimised for performance and reliability comprising storage, servers and software in a single integrated data protection appliance with just one hardware package for you to configure, deploy and manage. A backup appliance eliminates the need for multiple point products reducing operating expense and integration complexity. From a support and maintenance perspective having a single point of contact reduces time to solve issues should they arise.